Home / How to move a piano? How to move a piano? Has it ever occurred to you how hard that is? Odds are this has recently dawned on you due to coming-up relocation. Now you are feeling perplexed because you are clueless about how it should be done. You don’t know the first thing about it, to begin with. In addition, you are so overwhelmed by crucial moving ins and outs that you have completely forgotten to consider moving a piano. As the moving date is approaching you are pondering the best ways to do so. Coming up with a solution, however, seems impossible. Among other things, you begin to realize loading heavy items such as a piano might cause severe moving injuries. Apart from moving on a budget, this proves to be the most difficult moving task. For that reason, here is our list of how to move piano dos and don’ts. Since a piano is bulky, you need the packing materials that will protect it adequately. Getting moving blankets is your best bet. It will cover a piano thus make it scratch-free. Moving blankets are thick enough to keep any bulky item safe, including the piano. That’s why a potential collision won’t harm it one bit. Moreover, a piano skid board might come in handy. It is available in various lengths thus you can choose the one that matches the piano’s size. This is why piano skid boards are popular nowadays. Furthermore, it is moisture-proof hence you can rest assured rain or snow won’t endanger your piano. As a result, it will reach the new address safeguarded. Knowing your piano will be intact during relocation is a weight off your mind. Having dealt with this successfully, you can get down to settling in in your new home. Before you start even thinking about relocating the piano, make sure it can be moved out. What you need to do prior to hiring Nevada movers is to measure all the entrances in your home. While doing so, you should put a special emphasis on how wide they are. Also, make sure the entrances are tall enough so that a piano can go through them smoothly. Don’t forget to check the size of your front door as well. The best way to ensure all the entrances are larger than the piano’s size, add a couple of inches just in case. In case a piano is too big, make sure your entrances can be modified. Another important thing you ought to do when moving a piano is to clear all the mess surrounding your entrances. Not doing that is beyond reckless and it jeopardizes your personal safety. to give you a hand relocating. If you divide the piano’s weight, it will result in moving it in a blink of the eye. A further advantage of making a plethora of people involved is it will contribute immensely to saving money. Not paying professionals is in accordance with your belt-tightening policy. One of the best ways to move a piano is by engaging a bunch of people to help you out. How to move a piano? You won’t have to bother answering that question if you hire professional movers. They will do due diligence and prepare your piano for relocation. They will protect it and cover it properly in moving blanket taking care of the piano’s parts. Given they have done this countless times, they know how not to scratch it. 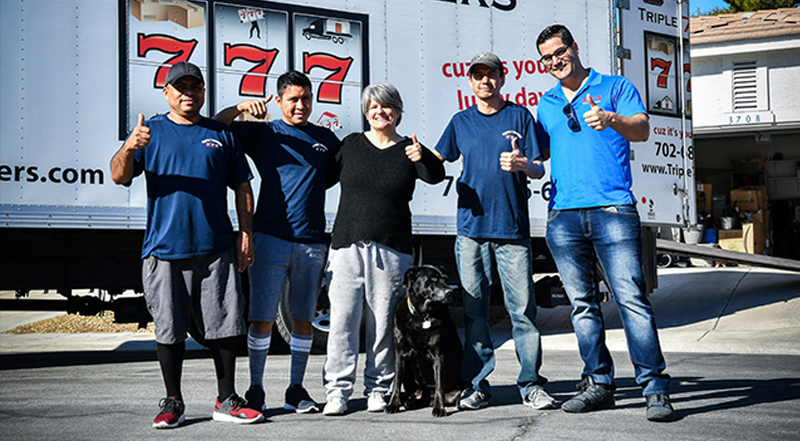 In case you are not penny-pinching kind of a person, hire local movers Las Vegas and have your piano moved in no time. Nonetheless, before opting for a moving company, keep in mind you will trust them with your piano and investigate them online accordingly. Check their recommendations, or ask your friends who have already hired them to share their experiences with you. Last, but not least, pay attention to Nevada moving company quotes. Moving a piano is tricky. Myriads of things can go wrong. Correspondingly, you need to be prepared to handle any problem. You may benefit from moving insurance which guarantees you will be reimbursed in case your piano gets damaged, broken or lost during the relocation. Pianos are rather expensive. Those are valuable items. You are hence ill-advised to treat their relocation lightly. One of the most important aspects of moving a piano is getting insurance. By the same token, it’ s entirely up to you to discuss insurance coverage details with a moving company of your choice. Be concrete and very specific when asking questions. Do your best to get an insurance that covers numerous worst-case scenarios when it comes to piano moving. Also, insist on a legally-bound document where everything is written black in white. Should anything go wrong, you will have proof admissible in court. Bottom line is the moving company can’t double-cross you. How to move a piano? Well, before answering this question, you have to be sure you really need to move it first. If that’s the case, provide a few moving blankets to have it covered while moved. Just make sure they don’t cost a small fortune. Next, engage a bunch of people to help you load it. If you can’t make it together, then you need to ask professional movers for help. But, bear in mind the pros and cons of hiring any moving company in order not to get played and/or ripped off. Finally, get insurance coverage just to be on the safe side. Other than that, you are good to go.